Part of the research behind Malcolm Gladwell’s remarkable best-seller, Blink, was done by the Max Planck Institute for Human Development in Berlin. Now, Gerd Gigerenzer provides an engaging explanation of the science behind it in his new book, Gut Feelings. Gigerenzer illustrates how the key concept centers on rules of thumb and how such rules serve us well in the analytical process. He explains why rules of thumb and intuition are such powerful decision-making tools. As director of the Max Planck Institute, the author draws on nearly a decade of research to show how we have derived rules and intuition from our environment and experiences. He says they are the result of unconscious processes. Their value, in part, comes because they take into account only the most useful bits of information. They don’t attempt to evaluate all possible factors. Gigerenzer notes that gut feelings correspond to neural processes that have evolved over thousands of years, and the decisions they give rise to are usually sound. Without them, we would drown in a sea of information. He also argues that hunches and facts should be equally valid reasons for a search warrant. Sometimes, the answer to a complex problem can be reduced to one easily recognizable factor. Unconscious rules often help us decide who to marry, which stock to choose, or the answer to a million-dollar game show question. Note that gut feelings in some areas should be examined further. These areas may include trusting a doctor without taking into account fear of a malpractice suit. It is possible to learn how to spot those situations and how to hone our intuition. Sometimes, however, the learning is in the school of hard knocks. 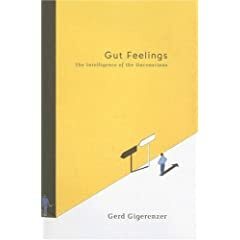 Gut Feelings: The Intelligence of the Unconscious by Gerd Gigerenzer. You Need Content for The New Year: Get it On Sale Now!